When selecting toys for your kids or when you are buying a gift for a child you not only want to make sure that the toy is safe for them, but you also want the toy to be engaging. Toys that are bought for children are best when they match their stage of development and challenge their developmental skills. There are many toys on the market that are not only safe but challenge the little ones and big ones at every stage of their development. Selecting the best toys can just seem like a daunting task. We have taken the guesswork out and have selected best toys on the market that start with the letter A. These toys are not only safe but engaging plus have already been reviewed for you. Each of the toys has some of the highest parent, toy expert, and kid ratings to ensure that they will be loved by all. For this update we added a bit more information in our criteria section regarding age appropriateness, safety and cleanliness when it comes to picking out toys for children. What an awesome way to display your ant family then in a showcase with LED lights. This ant habitat is extra awesome with the blue LED lights that light up the display, but also encourage the little critters to create deeper, biggers, and further tunnels. The set comes with everything needed to create and explore the life cycle of an ant. It has magnifying glass, a stick to start a few tunnels for them, and much more. The ant are not included with the set, but it comes with all the instructions on how to obtain them. This set is like no other because of the cool featured gel that they dig down through, yes you read that right, gel. The gel allows the ants to create awesome tunnels that are nightlighted with the blue LED lights. It is one of the coolest aunt habitats on the market. So no more boring brown dirt and dark tunnels. Spark your kids interets quick with this display. Engaging children with science projects that not only catch their interest but they learn some valuable information from is a winning situation for both the parents and the kids. This aunt house does just that. It provides all the materials needed to create the project and then watch the full ant life cycle. Making the experience one that will give them a full understanding in just a few quick settings. The display of this habitat is awesome. The LED lights really highlight the tunnels and give is a cool look. It is much cooler than any aunt farm we have seen before. The kids really loved it. Helping our kids express themselves through art is made a lot easier if they have all the tools they need. Giving them the Inspiration Art Case from Crayola should really whip up their imagination as it comes with more than a hundred pieces of coloring instruments including crayons, markers, and pencils. Crayola’s art set includes crayons, markers, and pencils in a large variety of colors. This set encourages creativity and imagination through art. Since each piece fits into the tray when not in use, it also shows kids that supplies should be treated with care. You’ll appreciate the organization while they’re busy making art. This set includes everything needed to create colorful art. We think it’s a great gift for young artists. The abacus is one of the most primitive calculators used by man. It may have a very simple design but its usefulness is unmatched. Schools still teach kids about how to use the abacus and use them as instruments in understanding many fundamental principles of mathematics. This 2-color Desktop Abacus by Learning Resources is a great supplement. Teach your kids pre math skills while they play. This traditional tool has been redesigned to teach grouping, patterns, counting, and basic arithmetic. The beads are split into two colors and grouped in rows of ten. This allows it to be used for high number counting. The frame is shaped to easily lay on a table top and is small enough to be portable. Your kid will start off by playing and end up learning. This new take on an old tool is an effective teacher of math skills. We like that the colors visually demonstrate grouping. The Aerobie is a soft, rubber-edged ring that is thrown and caught like a Frisbee. It’s a great alternative to the usual Frisbee but is a lot easier to catch since you can easily let it slip through your arm. This also makes it ideal for putting variety in the game. If your kid loves outdoor games of catch, this ring is a fantastic toy. It was designed to fly as far as possible even on the windiest days. Made of polycarbonate the ring is lightweight and incredibly aerodynamic. Your kid will be encouraged to keep trying by its ease of use. As parents we know that physical play is important. This ring improves on the usual game of Frisbee. Let your kid create fantastic classical structures that may resemble some of the most iconic structures of the ancient world like the Parthenon. The wooden Architectural Blocks from Melissa & Doug are shaped in different forms that make up ancient structures like posts and lintels, columns, pediments, cornices, entablatures, and many more. This is more than a set of wooden blocks, it’s the key to unlocking your child’s imagination. With a variety of shapes they’re able to build anything their mind comes up with. These blocks are a great toy for a variety of ages and are able to be combined with others to extend their play time. We love toys that are educational and fun. These blocks encourage creative play that builds young brains. Cultivate the artistic inclination of your kid by giving the right motivation, the right drawing tools, and the A-Frame Art Easel from Little Partners. This easel actually comes with a dry-erase board and chalkboard to give your child greater flexibility in his or her choice of medium for creating a masterpiece. Your little artist can create whatever their heart desires with this easel. On one side there's a magnetic dry erase board, on the other is a chalk board. It is designed to hold paper for painting and coloring on either side. The paper roll holder is conveniently located on top. Parents will appreciate that this keeps the roll out of toddler's reach. The storage spaces below mean all supplies can be kept close at hand. We appreciate that this is truly an all in one art station. It can even be enjoyed by multiple kids at a time. It’s got a stubby airframe that would make it quite challenging for its equally stubby and short wings to lift into the air. This is a challenge that only your kid can solve with his imagination every time he takes the Green Toys Airplane to the skies around the house or the neighborhood. This toy plane is designed to be a favorite of young aviators. Every piece is shaped and sized to fit perfectly in small hands. There are a couple of ways this amazing toy builds brains. While they're spinning the propeller they are building fine motor skills. Flying through the air on adventures flexes their creativity. Creative play is crucial in the first years as the brain grows. This toy is a fantastic example of how to encourage that. Green toys has a reputation as a creator of environmentally friendly toys. We appreciate that this one is made of 100% recyclable materials. It’s a cube like no other. True to its vision, VTech continues to provide kids with all the right interactive elements in the Busy Learners Activity Cube to make sure that all of your child’s senses are fully developed while also encouraging the development of his or her motor skills. This toy helps babies learn while they're playing. It was designed by VTech who are leaders in the electronic learning products category of toys. That means this is not only a fun toy, it will teach concepts that are appropriate for your baby's development. It introduces animal sounds, various songs, and lights that will keep baby entertained. We know that babies This toy is great at keeping attention. We like that it is motion activated and responds to how babies play.enjoy toys that grab their attention. This one does so in a variety of ways included lighting up the buttons. Learning the alphabet including the sounds of the different letters is a crucial first step in a child’s language and speech development. The Alphabet Apple makes sure that your tot will be able to learn and master the letters of the alphabet in a much more fun, easier, and more efficient way. Another great baby toy from VTech, this one is all about the alphabet. It introduces letters, phonics, and even time in a way that is fun. There are eight different activities and nearly thirty songs; enough to keep your baby or toddler interested. The handle makes it easy to bring the Alphabet Apple along for fun on the go. 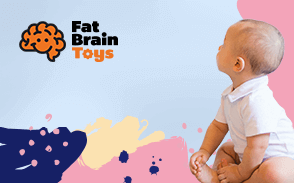 We know that babies enjoy toys that grab their attention. This one does so in a variety of ways included lighting up the buttons. Bathtub toys are the perfect way to enjoy some bonding time with your little one before bed especially when they are their favorite characters from the movies. This set includes three squirting toys from a major Disney movie. Each of the toys have great action power, just simply place in the water and squeeze and release. Once out of the water, squeeze again and watch the water fly right out of their mouths. They have been constructed out of soft plastic making them easy to handle for the little ones and also easy to fill and squirt. Have a blast and a few laughs with these action packed bath toys. Fine motor skill developments should be practiced and used throughout the day. This set of bath tub toys is a perfect way to get in a little more practice right before bed time. They are easy enough to squeeze that the little ones will not get frustrated and have enough squirting power to engage the older ones. Cute and fun. These little squirt toys are really fun to engage with your kids at bath time. Anything that changes the same old boring daily routines into something fun and engaging is fun for everyone. When choosing the toys that are included in this list it’s obvious, we started with the letter “A”. Though we limited it to the letter A, we didn’t stop there when taking other factors into consideration. To further create the best possible list, we asked our researchers to look into additional factors as described below. We looked at everything from safety to cleanliness of the toy, what’s considered age appropriate, to even your child’s development stage. Children learn by playing – this is definitely something that most everyone is aware of. Research shows that one of the greatest ways to teach any child is to encourage them to play. This is true no matter what subject you’re trying to encourage your child in learning. A great example of this is to look into what happens when children play with others. The act of taking turns with a toy teaches your child social skills and helps them develop their socialization. It also provides a chance for your child to practice language and expression. No matter the toy this is true, so we chose this as something to consider when coming up with our list above. Some of our favorite toys on our list are ones that encourage imaginative play. Imagination is a hallmark and huge part of any childhood and we think it should always be encouraged no matter what. The toys that you see above on our list allow your child building, role-playing, creating etc and each help your child express their imagination through pretend play. It may even give parents a break and brings out their imagination as well. Imagination is an important skill for children to have because it heightens your child’s creativity skill and allows your child to be creative. When it comes to imaginative play, there is no right or wrong way to play – you just follow along. This is something extremely important to consider when purchasing the right toy for your child. You are going to want to look at the age group for each toy and make sure it’s something that is appropriate for the age range that your child falls under. For instance, you’re not going to want to give a four-year-old something that is specifically made for an eight-year-old because they won’t be able to function or play with it as properly as an eight-year-old would. If you give the three-year-old the toy and they no longer play with it, it would make it seem as if the three-year-old wasn’t interested when that isn’t the case at all. You also want to take into consideration age because some of these toys come with ink, follow along instructions and might be a little too complex for a younger child to understand. Every parent wants their child to be safe. When coming up with our list this was one of the most crucial things that we took into consideration. We researched all the materials that every toy was made from making sure that there wasn’t anything created from harmful chemicals that could affect your child later on in life. Every product on our list is 100% safe for your child to learn and have fun with. The last thing a parent wants to do is have another thing to add to their to do list. We looked into making sure that each product on our list was easy to clean and they are. All you need is soap, and warm water and most of them you can just let air dry and they’ll be all ready for the next morning for your child. Q: Can 1 liter bottles be used with the Aquapod Bottle Launcher? A: No. It was designed to work specifically with 2 liter bottles. Q: Can the A-Frame Art Easel be folded for storage? A: Not easily. It is small enough to fit in most spaces though. Q: Are the magnets in Abby and Emma dress up dolls safe? A: Yes, they are not the strong magnets that are a health risk when swallowed. Even so children should always be supervised when playing. Q: How long does the Air Hogs RC batteries last? A: That depends on the speed at which it’s driven. It can be charged using USB which makes it more convenient. Q: Can an adult hand fit in the Animal Puppets? A: Depending on the size, yes some adults can fit the puppets onto their hands. Q: Can the AquaDoodle be erased? A: No. The drawings fade quick enough that you don’t ever need to erase them.